Sri Sitaramdas Omkarnath, a renowned saint from Bengal was from the Ramanuja-Ramananda Sect. He used tilaka as per Ramanuja-Ramananda sect and was revered by many saints from all sects and religions all over India. He in His books wholeheartedly accepts all the paths including Advaita Vedanta. English Translation: I salute the Guru lineage starting from Sri RAma and coming through Sri Ramananda upto Sri Dasarathi Deva (His Guru). His tilaka also reveals His sect (image enclosed). It became possible because He Himself realised the Ultimate Truth that way. His philisophy is known as the 'OMKARA-VAADA' -- which says that all mantras merge with the Anaahata naada 'OM' and OM ultimately merges in the Supreme Self. 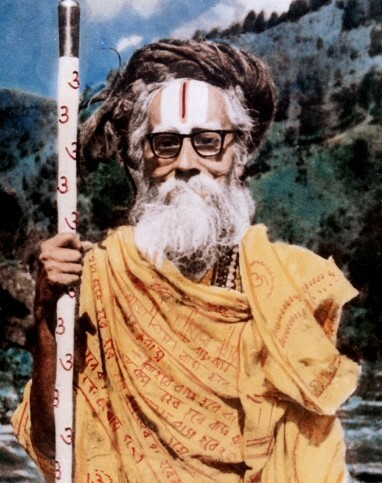 He named the Saguna Brahman as 'Apara-Pranava' and the Nirguna-Brahman as the 'Para-Pranava'. He writes that both are simultaneously Ultimate, depending upon whether the aspirant follows the path of devotion or of knowledge. Who merges with 'You' is a bhakta and who merges with 'I' is a jnAni. So He ultimately is speaking from His own realisation rather than stating the views of his own sect. He was highly revered by many saints of different sects including some from the Ramanuja and the Ramananda sects. He mentions that all the doctrines are simultaneously true as none can fathom God who is beyond speech, mind and intellect. Reference: Omkarnath Rachanavali, Omkarnath Mission, Vol 14, page 3- 204. Not the answer you're looking for? Browse other questions tagged advaita brahman ramanandi .